Sebastian Vettel took victory in the Hungarian Grand Prix, despite having to deal with steering issues with his car, withstanding his charging team-mate, Kimi Raikkonen and both Mercedes drivers at certain points of the race. Vettel led the field away at the start, but the first lap of the race featured yet another case of team-mate rivalry, with the Red Bull Racing drivers of Max Verstappen and Daniel Ricciardo coming together at the first corner. Ricciardo came off far worse, with Verstappen locking up and spearing into the side of him due to an over ambitious move, ending the Australian’s race. The safety car was deployed, and Verstappen was later given a ten-second penalty for causing the collision. Vettel controlled the pace both before and after the restart, pulling away from the field easily as Hamilton battled a chastised but determined Verstappen for fourth. At this point, things were looking easy for Vettel, who cruised away from Kimi Raikkonen to a gap of about five seconds. However, things began to get interesting between the two drivers as the front-runner complained of steering issues over team radio, whilst the Finn sliced the gap between them down to just two seconds. The pitstops became crucial, with Kimi commenting as he pitted that he had the pace to stay out longer. His stop brought him out behind Vettel once more. After the stops, Verstappen led the two Ferrari drivers, although he had not yet served his ten-second penalty. But when the Dutchman dived into the pits, the race lead was retaken by Vettel, with Raikkonen hot on his heels – but the drama did not end there. 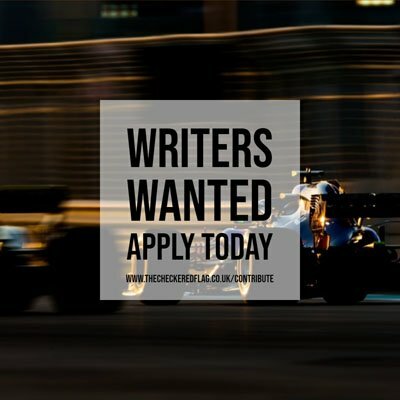 Mercedes AMG Petronas Formula 1 Team issued team orders, and Hamilton, who felt as though he could do a better job than Valterri Bottas of catching the prancing horses, was allowed past and set about slicing the gap to the Finn. All the while, Vettel narrowly held onto the lead by just one second ahead of his team-mate, even though he had been warned by his engineer to be careful over the kerbs. But as Hamilton closed up on Raikkonen, he too closed up on the leader, getting within DRS range. Further back in the field, a fierce battle between the two Spaniards played out, with Fernando Alonso managing to make a stunning move around the outside of Carlos Sainz Jr. stick, although the gap between the two grew after the pitstops. Both Scuderia Force India drivers had an impressive recovery drive to get into the top ten after what had been a disappointing weekend up until this point. Meanwhile, back at the front, the Ferrari drivers continued to battle for position, and Hamilton was granted another five laps to attempt to overtake Raikkonen before giving the position back to Bottas. But a feisty radio message to the team, claiming that his tyres would hold, suggested that he thought this was more than possible. Helped by backmarker traffic, he managed to get even closer to the back of the Ferrari. Towards the back of the pack, super sub Paul di Resta had been holding his own, but on lap 63, he was told by his engineer to box. A superb effort considering he was drafted into the car just yesterday. Just outside the top three fight, a battle between Bottas and Verstappen began. The Dutch driver had a remarkable recovery drive after his penalty to catch the Mercedes driver, who should have remained ahead of Hamilton without the team orders. The gap came to down to within DRS range, but Bottas defended stoically and managed to keep the youngster behind him. This all played out as Vettel clung on to the lead for dear life, just under a second ahead of Raikkonen as the chequered flag drew closer. But, Raikkonen was not able to make it past the four-time world champion, and it was the German driver who crossed the finishing line first, claiming his fourth win of the season and extending his lead in the Drivers Championship. It looked as though Hamilton had a podium finish all-wrapped up, but in what was an honourable move, he let Bottas cross the line ahead of him, as he had promised earlier in the race. Another surprise of the day was that for the first time this season, both McLaren-Honda Formula 1 Team drivers finished in point scoring positions – with Alonso scoring a stunning sixth place and his rookie team-mate, Stoffel Vandoorne, claiming the last point in tenth. This lifts the McLaren’s off the bottom of the Constructor’s Championship and ahead of Sauber F1 Team. In what turned out to be a tactically run race, Vettel came out as victor, although there did seem to be points where it looked as though another race winner could be added to the mix this season. The main drama came on the first lap with the Red Bull collision, and it will be interesting to see whether the relationship between the two drivers deteriorates rapidly from here. Going into the summer break, Vettel retains his hold on the Driver’s Championship, which will act as a significant morale boost going into the second half of the season. What is most obvious, though, is that we are in for a real treat when Formula 1 returns late next month at the Spa-Francorchamps circuit.